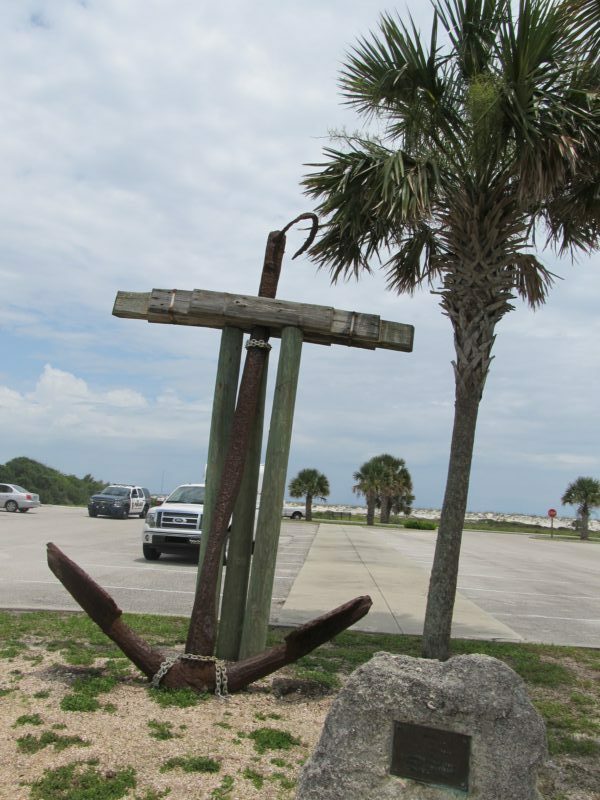 Anastasia State Park is located a little south of St. Augustine, Florida in St. Johns County off U.S. Highway A1A. At Anastasia you can enjoy camping, beachcombing, swimming, picnicking, fishing, windsurfing, hiking, wildlife viewing, boating and more. Anastasia’s full-facility campground, with full RV campsites and tent-only camping, is located in a wooded area within easy bicycling or walking distance of the beach. Pets are not allowed on the beach but in the camping area, they must be on a leash. Quiet time in the camping area begins at 11:00 pm. As with most State parks the day visiting areas open around Sunrise and close around Sunset. If you want a more lively place to camp and within easy reach of many attractions, shopping, etc. then this is the place to come. We do suggest that you make your reservations in advance as the park is extremely popular every single month. We visited the park during the middle of the week at the beginning of June so there were not as many people as there are on the weekends. Locals enjoy this park as much as tourists so keep that in mind as well. There is always something being worked on, or some area that is off limits due to migrations or mating season so please check with the park rangers when you come about any areas that are off limits. The day was very nice, very warm and we had showers going on all around us but not while we were in the park. Also, because of all the storms, the beach erosion is always a problem. The good thing about that is when the tide is going out there are lots of pockets of water that stay in holes along the beaches where the little ones can splash and play and you don’t have to worry about them getting knocked down by the waves. The picnic areas have roofs over the tables that give a little shade and with the beach breezes, it is a nice and relaxing way to spend a mealtime. Please, Please, Please make sure you bring AND use sunscreen even during the winter months. Check the park’s website for additional information on closings, restrictions, etc. All camping sites should be reserved online prior to coming and can be reserved up to 11 to 12 months in advance. 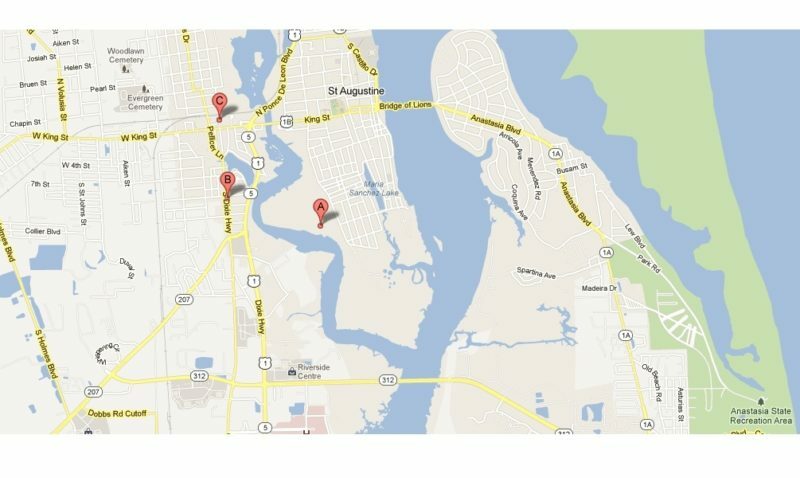 Again go the Florida State Park’s websites and you will be able to click on the Reservation page. Not all campsites are available at the same time. According to the main page, Anastasia has 139 campsites however according to the Reservation site there are only 124 sites that can be reserved at any given time and those being approximately 80 RV/Tenting sites and 24 Tent only sites. The park itself is in fairly decent repair. The kid’s playgrounds within the campground areas have been updated in 2016. The campsites seem to be kept clean and the showers and restroom facilities are also very clean. $28.00 per night, plus tax. Includes water and electricity. Florida residents who are 65 years of age or older or who hold a social security disability award certificate or a 100 percent disability award certificate from the Federal Government are permitted to receive a 50 percent discount on current base campsite fees. RV Camping Facilities Available All camping sites have 30amp electricity, water, Barbeque grills and a picnic table. A few have paved parking but most are dirt sections with logs or wind fences. Because of this park’s close proximity to St. Augustine and being in a well-populated area, there is any number of places to shop for supplies, get your laundry done, fill up your gas tanks and of course, there are lots of sights to see and all within a few miles. These are the closest to the park entrance. The park’s campgrounds have washer/dryers at each bathhouse. We called ahead to let them know we were coming in for a refill as a courtesy. Here are some websites you can view that have great information on where to go and what to see while you are spending time relaxing, enjoying the beach, fishing, windsurfing, surfing, kayaking, and sun bathing.